YesButNoButYes: Some like cats. Some like dogs. Some like cats. Some like dogs. And some like to feed Warthogs. 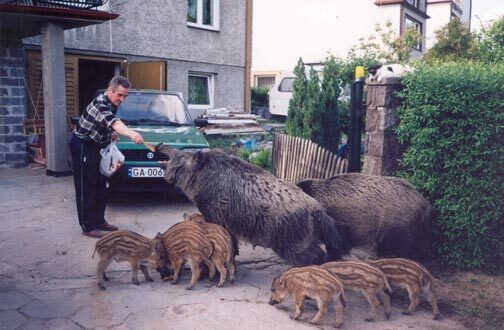 Well, they look like a family of Warthogs anyway.